This is the Latourell Falls in Oregon. The rocks feature a pattern of joints caused by stress when lava cooled and contracted, creating interesting prisms and columns over which the falls drop. 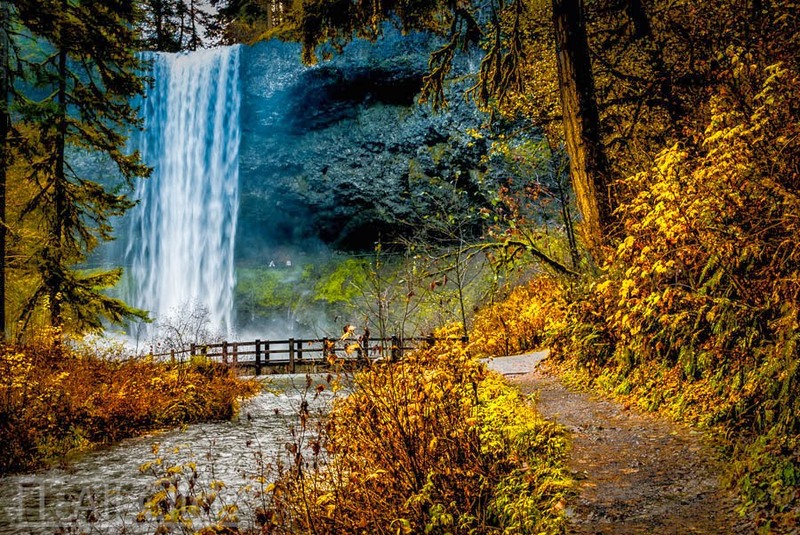 The lower Latourell Falls drop 240 feet, while the upper falls cascade down about 100 feet. The sights are very impressive, and you can walk behind the falls and feel the water dropping over you. Certainly an incredible experience.